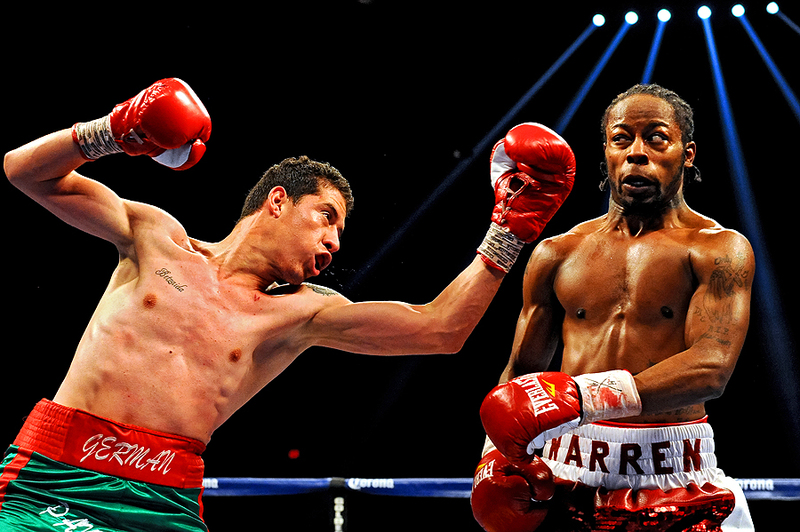 "German Meraz attempts to hit Rau'shee Warren in their bantamweights match at the DC Armory on January 25, 2014 in Washington, DC." As the year ends, I am proud and humbled by the opportunities presented in 2014. Much like last year, the days, weeks and months I spent shooting once again revolved heavily around the world of sports. From local venues - and spanning across the country to California and Texas - and Florida more than six times - it has been an amazing journey. It certainly hasn’t been easy, each assignment presents new challenges, but the inspiration I feed off of from each team I work with makes them exciting to tackle. I cannot go without thanking all of my clients for keeping me moving each week to document compelling subjects in ideal locations. Each and every opportunity is cherished - and I thank everyone for allowing me to be their eyes by trusting my skills no matter what the story. My clients trust my abilities to not only photograph athletes and the worlds they play and live in, but to also enjoy the often overlooked relationships of building deeper bonds with teammates I work alongside - both photographers and editors. As always, a deep gratitude, and thank you, to everyone at Getty Images for keeping my vision looking for the extraordinary. It goes without saying they continually keep my cameras active for which I am forever indebted. Most, if not all, of the images in this gallery have been documented when apart of the Getty team. Without mentioning each and everyone of you - thank you. As always, I'm excited and looking forward to another full-year of health, happiness and shooting in 2015 - and wish each and everyone of you the same.